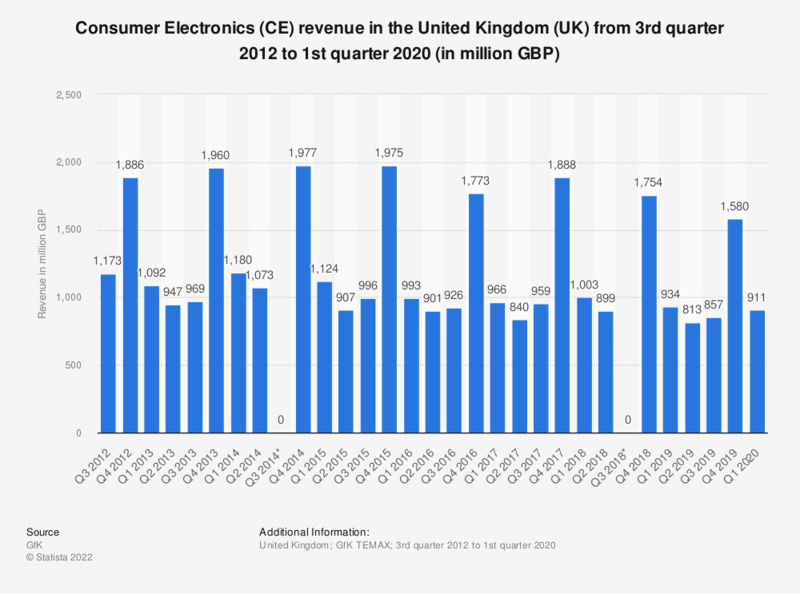 The statistic shows trends in Consumer Electronics (CE) revenue in the United Kingdom (UK) from the third quarter of 2012 to the second quarter of 2018. In the second quarter of 2018, Consumer Electronics generated a revenue of 899 million British pounds. Consumer electronics includes items such as iPods, MP3 players, mobile phones, e-readers, television sets, game consoles and many other electronic goods. *Data for Q3 2014 could not be retrieved.